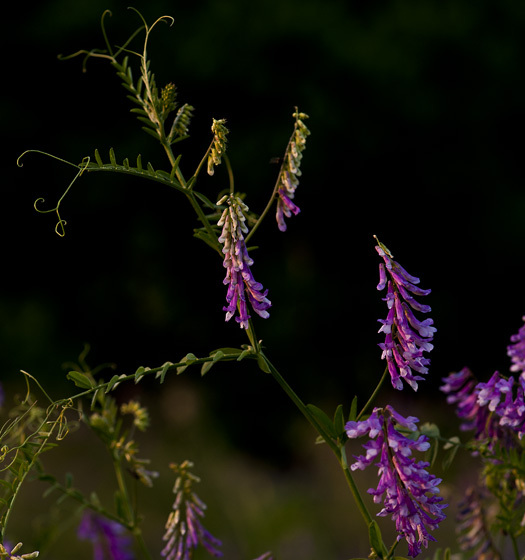 Last sunset of spring 2011, that is. 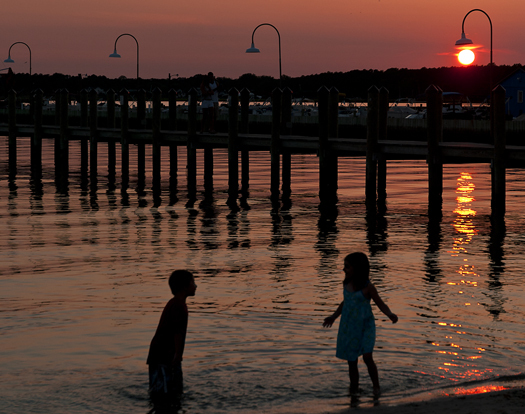 I found some happy kids on the edge of the bay tonight, wading in the sunset lit tide. 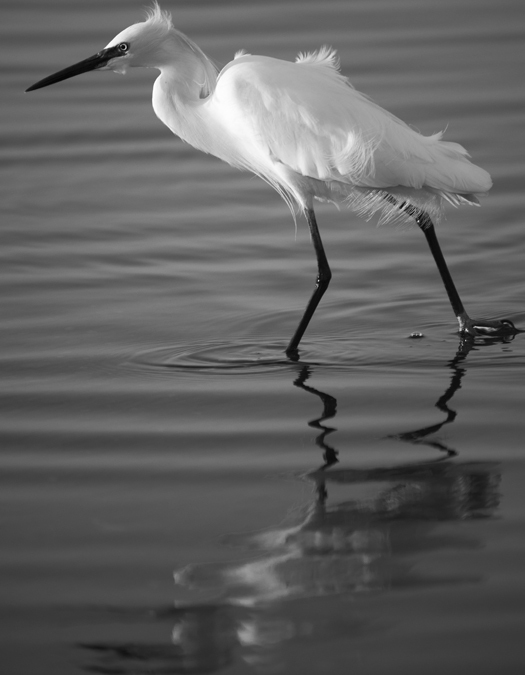 The beauty of the form and shadows of this wading Snowy Egret were best shown in black and white, I think. or you can open the page labeled “Cassandra and Taylor” in the column to the right. 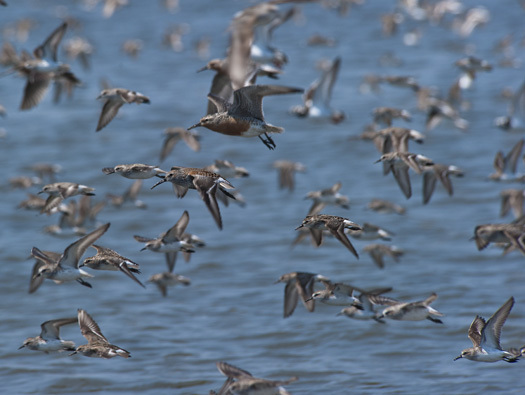 Red Knots stop off in Delaware Bay to refuel on their migration from the southern end of South America to north of Hudson’s Bay. The peak of the migrating population was last week but there are still many feeding on horseshoe crab eggs. 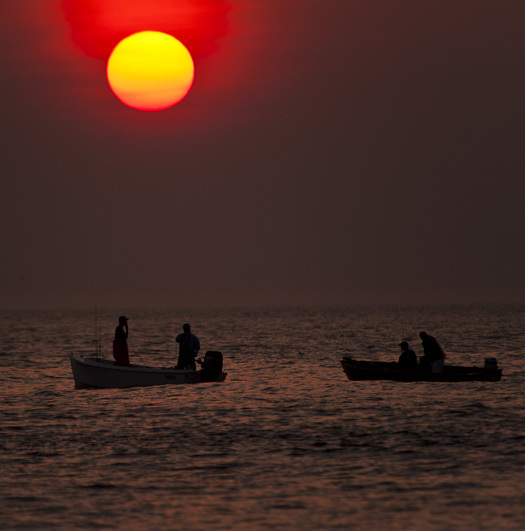 The sun rose over fishing boats this morning and set as skim boarders rode the last waves of the day. It was a perfect day to kick off the summer beach season at the Delaware Coast. 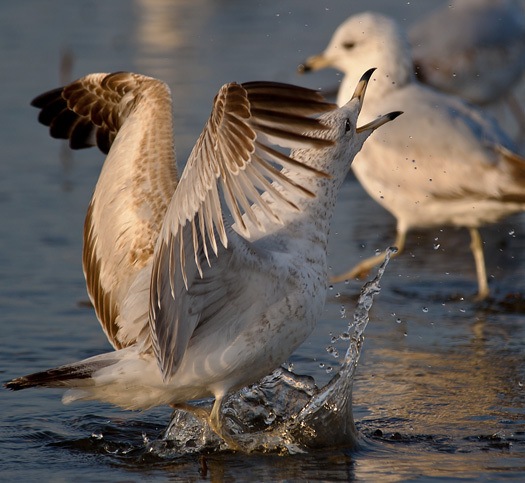 Gulls don’t really bathe this way, but this one kicked up a nice splash as it defended its space. 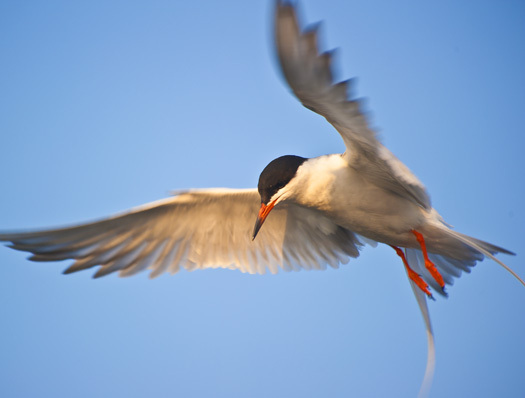 Terns are natural born hoverers, holding themselves in mid air for long moments. Here a Forster’s Tern demonstrates that unique ability. 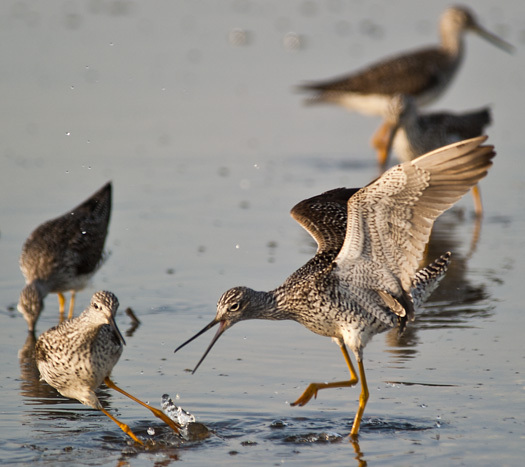 Even in the calm shallows of the early morning marsh there are scary moments.